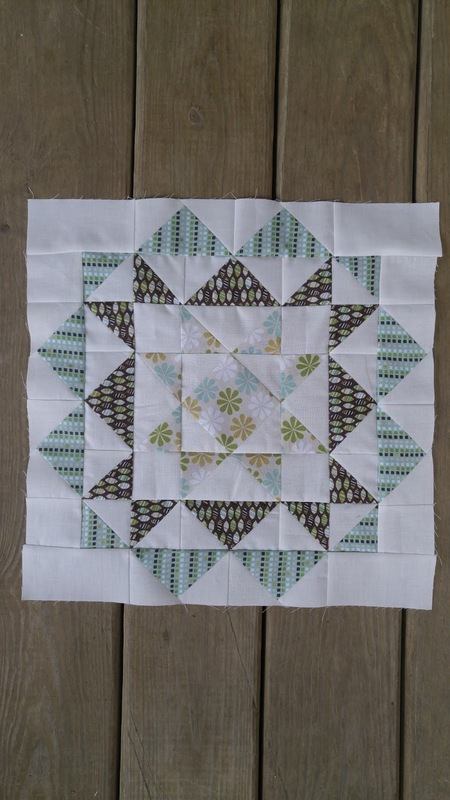 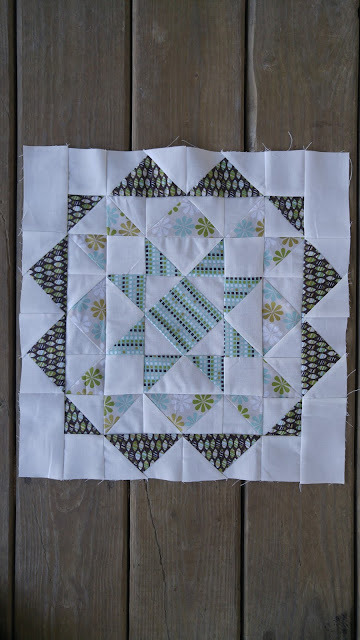 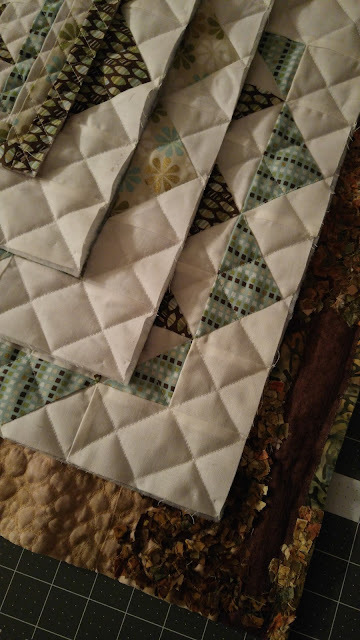 I chose to use Friendship Stars to make Heather's quilt. 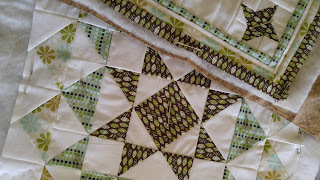 The fabric is from a small fat quarter bundle that my mom gifted to me (originally from Wal-Mart). I made up the pattern for the friendship star quilt and quilted it using straight lines with my walking foot in a criss-cross design on my Bernina 930 Record. 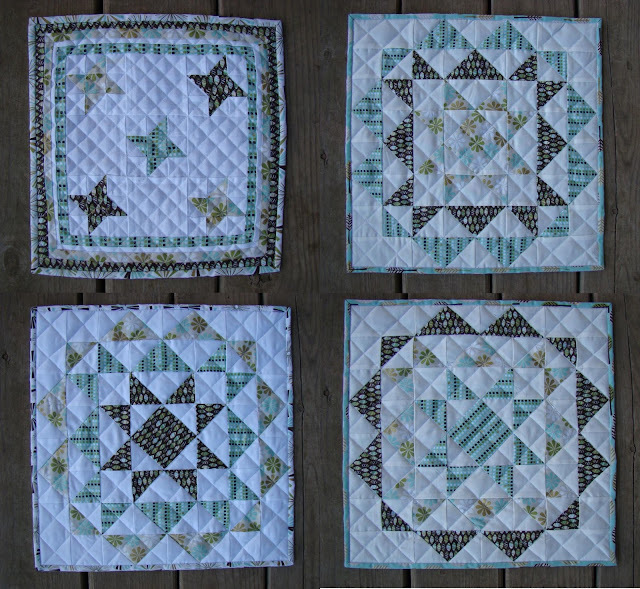 I quilted the other three quilts with the same design, just a slightly larger spacing. 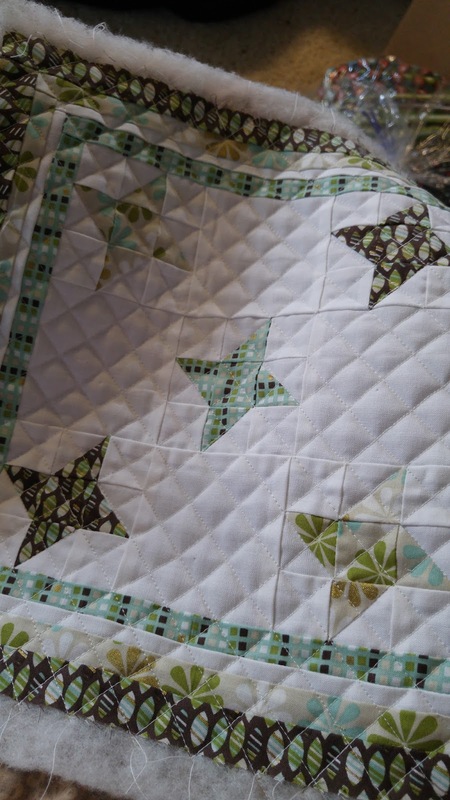 I printed a label on printable fabric, ironed it onto Heat-N-Bond, then ironed it onto the back of the quilt. 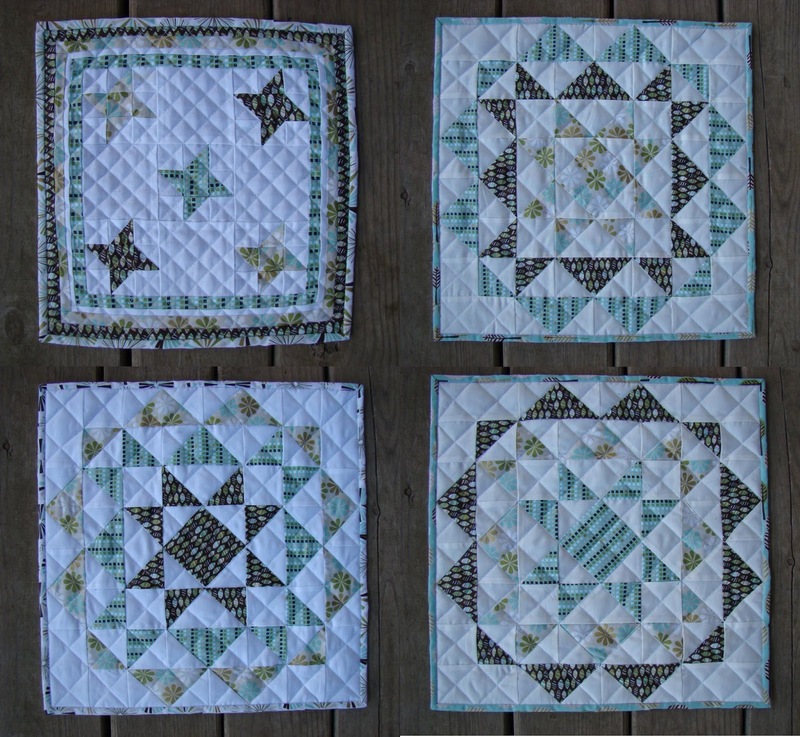 All four quilts were mailed out to surprise the recipients with some happy mail!